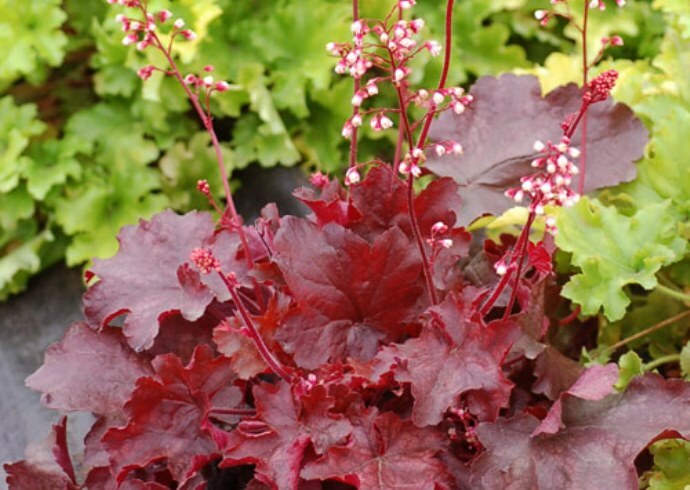 Heuchera 'Fire Chief'. This beauty features glowing wine-red foliage and pretty, bi-color, non-stop flowers held up on red stems. The shiny, artistically etched leaves are unique and alluring. We have found this little beauty to be a strong grower with fantastic coloration. 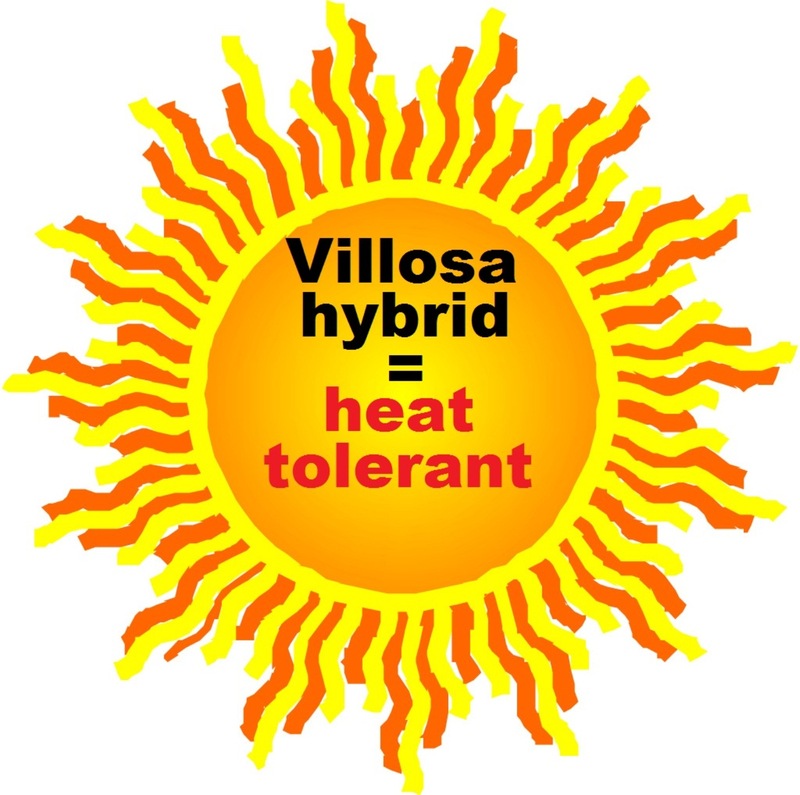 Heat and humidity tolerant. From the folks at Terra Nova. Also known as Coral Bells or Alum Root. PP#21880. MATURE HEIGHT: Foliage 9". In bloom 18". FLOWER: Pink & white, all season.